The writing prompt for this week, Lucky, can be taken many ways. 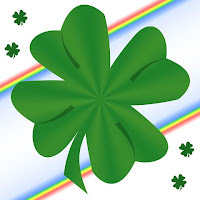 With all my Irish heritage, it would be easy to default to writing about my Ireland roots since it’s St. Patrick’s Day. Instead, I think I’ll write about how luck played a part in finding out more about my Kubler heritage. My dad always said that our Kubler family was from Germany. He didn’t know what part of that country we came from, only that he had heard Germany was the homeland. But I wasn’t having any luck finding a link between the family and Germany. My grandfather, Joseph Henry Kubler, was born in Connersville, Indiana, and my great-grandfather Henry Kubler was raised in the same town. My 2nd great-grandfather, Vincenz Josef Kubler, had moved to Connersville with his wife and children around 1870. On several occasions I traveled to Connersville, and I was able to piece together the lives of the family members in this town. Vincenz, who was known as Joseph in the community, operated a grocery store in town. In an account that was written about his store, they mentioned that Joseph was a native of Switzerland. This was my first inkling that the Kubler family came not from Germany but from Switzerland. Through a search at the local cemetery, I was able to locate the Kubler headstone, and determine when Joseph Kubler died. That led me to the library to look through the local newspaper, where I found a story about Joseph’s death. The article stated that he dropped dead after mass on a Sunday morning at St. Gabriel’s Catholic Church. He was 38 years old. It went on to mention that Joseph was born in Büsserach, Canton Solothurn, Switzerland. Finding that death notice was the missing piece I needed to determine the ancestral hometown of my 2nd great-grandfather. That knowledge led to a trip to Büsserach several years ago, culminating with a family gathering in a nearby castle. Now THAT was some luck!